If you're in the business of selling edible items, you might want to take a look at HACCP food safety principles. Standards for keeping edibles safe for consumption is a basic requirement, but the concepts outlined in the Hazard Analysis Critical Control Points take safe practices to a whole new level. There are seven principles to look into. In general though, what the system seeks to accomplish is to prevent contamination at all levels of production from preparation to distribution. The stress on prevention instead of post production detection is ideal because looking into each critical step before distribution ensures that no minute hazard or contaminant is missed. What exactly are these principles? The first principle stresses analyzing hazards. This is the step where possible hazards are identified for all stages in production. In an internal food safety audit an auditor can identify elements that are chemical, biological or physical in nature. Hazards can take the form of microbes, toxins or physical particles. After identifying potential hazards, the second principle moves on to determine the control points in which contamination can be prevented. Establishing control points can be as simple as outlining a procedure such as raw item handling, cooking, packing and distribution. The third principle combines the concepts behind the first and second principles. At this level maximum or minimum limits are set for each of the specific control points to prevent contamination. The most basic example is minimum heat settings for cooking specific edible items. The fourth HACCP food safety principle organizes the third principle by defining procedures and persons responsible for monitoring control points. This means that there is clear documentation to follow on how each step of production is checked and who performs these regular checks. The fifth principle focuses on taking corrective measures in case checks show that standards are not met. This may entail going back to the first stage of the production process or completely throwing out potentially contaminated items before they can be pushed out to consumers. Corrective steps have to be identified in advance so that it is clear what steps need to be taken in the event of contamination. The sixth HACCP food safety audit principle involves checking the system of monitoring itself. There should be a regular process in place that looks into equipment or tools that are needed for monitoring the production process. Monitoring devices and the different parts of the tools used in production should be in top condition to make monitoring effective and successful. The seventh and last principle revolves around documentation. Every part of the system from hazard analysis to monitoring device evaluation should have detailed guidelines in place. Furthermore, these should be based on standards that are based on accepted and proven scientific research. There is no doubt that following HACCP food safety principles is crucial primarily because it is the best way to ensure consumer well being. From a business perspective, it is also worth noting that following these principles is also essential to secure better business results. You'll be in business longer and have more clients if you make sure you have a solid system that can keep customers healthy and happy. Build A Stronger Business With A Food Safety Auditor. Find One At http://www.iconsultingsolutions.com.au. "It is not happy people who are thankful: it is thankful people who are happy." 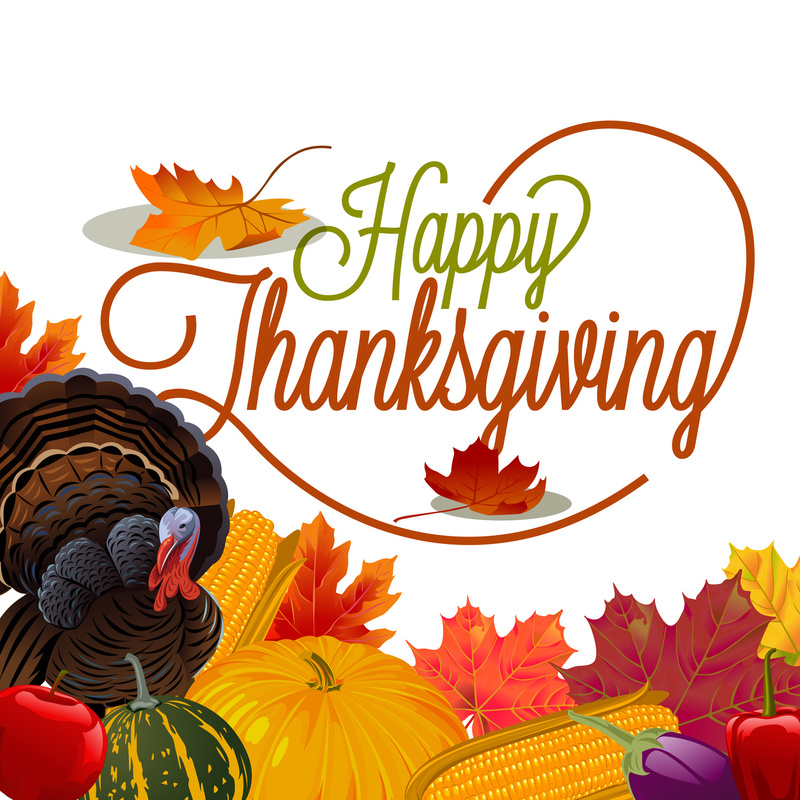 Wishing You and Your Family a Safe and Happy Thanksgiving! 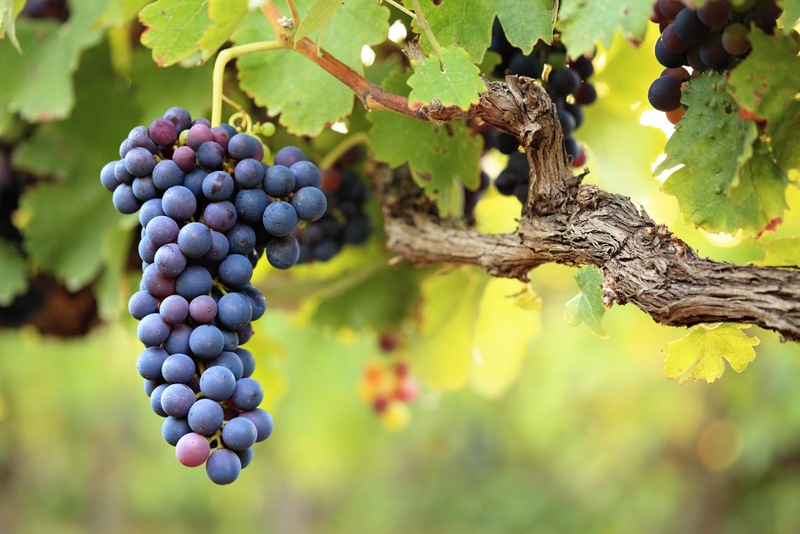 SQF IA Training in Napa December 9th, 10th, 11th - Sign Up Before Tomorrow for Early Bird Rates!! Register Before November 20th for Early Bird Rates! Promote an understanding of the SQF Code. Create a knowledge base to facilitate the successful implementation of an SQF System. 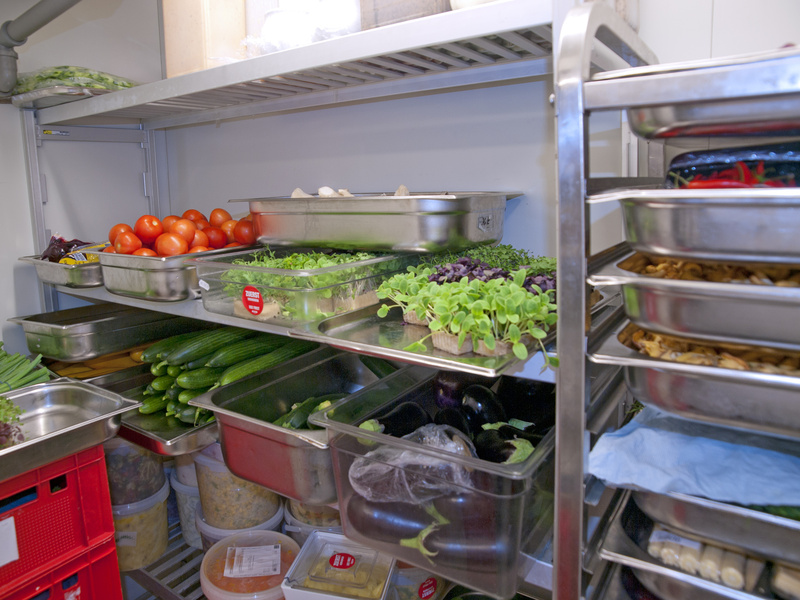 Show how a HACCP-based approach manages food safety and quality hazards in an operation. This workshop has been designed by MSc. 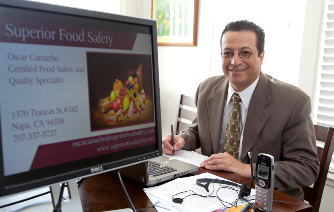 Oscar Camacho with more than 28 years of experience managing Food Safety and Quality Systems in the food industry, and based on the weaknesses found with his customers while providing auditing and consulting services. SQF IA Training in Napa December 9th, 10th, 11th - Sign Up for Early Bird Registration Ending Soon! Most foodservice companies are spot-checked by health inspectors for cleanliness and correct foods temperatures, and cited for code violations. Too many restaurants try to please the inspector, when what they ought to be doing is striving for clean, safe conditions simply because it's the right thing to do, day in and day out. The foods safety system that's been in use since the 1960s is HACCP-Hazard Analysis of Critical Control Points, which was developed by the National Aeronautics and Space Administration to evaluate its methods of assuring that all foods produced for U.S. astronauts were free of bacterial pathogens. Nothing might be worse than having gastrointestinal difficulties in space! Even these days, decades later, HACCP is considered the absolute standard for food security, far a lot more efficient than simply spot-checking for violations. 1. Biological contaminants or microorganisms. These include bacteria, viruses, and/or parasites, which already exist in and on many raw foods products and can be passed on by unknowing employees or clients. 2. Chemical contaminants. These can come from improper storage or handling of cleaning items or pesticides, from cross-contamination, or from substitutions of certain recipe ingredients. 1. Identify hazards and assess their severity and risks. 2. Figure out critical control factors (CCPs) in foods preparation. 3. Determine important control limits (CCLs) for each CCP identified. 4. Monitor important control factors and record data. 5. Take corrective action whenever monitoring indicates a critical limit is exceeded. 6. Establish effective record-keeping system to document HACCP program. 7. 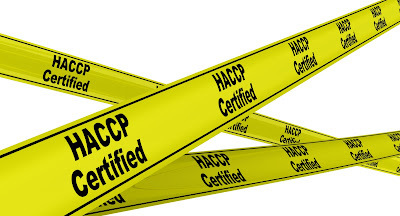 Establish procedures to verify that HACCP program is functioning. reheating, and handling of leftovers. Giving employees thermometers and/or temperature probes and teaching them how to use them. Correctly calibrating these devices. Inspecting all fresh and frozen produce upon delivery. Requiring hand-washing at certain points within the foods preparation process and showing employees the right way to wash for maximum sanitation. Adding quick-chill capability to cool foods more quickly in amounts over 1 gallon or four pounds. You will find as many of these possibilities as there are restaurants. The second action is to identify critical control factors (CCPs). This means any point or process in your system where loss of control might result in a wellness risk. If workers use the same cutting boards to dice veggies and debone chickens without washing them between uses, that is a CCP in require of improvement. Vendor delivery vehicles ought to be inspected for cleanliness; product temperatures should be kept within five degrees of optimum; expiration dates on food items should be clearly marked; utensils should be sanitized; and the list goes on and on. The third action would be to determine the standards and limits for what is appropriateand what isn't, in each of the CCP areas, for your kitchen. The fourth action within the HACCP program would be to monitor all the steps you pinpointed in Action two for a specific period of time, to be sure every area of concern is taken care of correctly. Some CCPs may remain on the list indefinitely, for constant monitoring; others, once you get the procedure right, might be removed from the list after several months. Still others may be added to the monitoring list as required. Step 5 kicks in whenever you see that one of the "critical limits" (set in Step 3) has been exceeded, and corrective action should be taken. Action 6 demands that you simply document this whole procedure. Without documentation, it's hard at best to chart whatever progress your facility may be making. If there's a problem that impacts customer wellness or security, having written records is also very essential.Finally, action 7 requires that you establish a procedure to verify whether the HACCP program is functioning for you. This might mean a committee that meets frequently to discuss wellness and security issues and to go more than the documentation needed in Step six. Despite its thorough and science-based method to foods safety, some operators are reluctant to make use of the HACCP plan, simply because of its technical language and also the fair amount of procedural discipline and documentation it involves. Food Security Plan Based on the Procedure Method to HACCP Principles." Francesco Zinzaro has been involved with online marketing for nearly 3 years and likes to write on various subjects. Come visit his latest website which discusses of Restaurant Fridges and fridges supplies for the owner of his own business. Thank You Napa Chamber of Commerce! Superior Food Safety would like to thank the Napa Chamber of Commerce for a great event on October 29th. We were able to have a booth and showcase our business at the Napa Fairgrounds. We were also able to meet and collaborate with many other businesses in the region. If you would like more information about the Napa Chamber of Commerce go to www.napachamber.com. If you are in the food manufacturing industry and would like consulting or training for food safety please visit us at www.superiorfoodsafety.com.